It was great to see many young and novice collectors investing their interest in Straits Chinese antique collection, apart from the passionate senior and regular collectors. We talked, shared and laughed to make this event much more meaningful than just the sale alone. Much to learn from this event. The Star of the Day was Lot # 63 - Extremely Rare Matching Pair Large Famile Rose Pale Blue Ground Dragon Phoenix Vase, which was sold incredibly at RM100,000! A renown owner of a Peranakan Mansion was the lucky winner! This Straits Chinese matching pair vases, according to the buyer, are extremely rare due to it 36-inch height and its exquisite drawing of phoenixes and dragons. The lotus-style of top rim is particularly beautiful to complement the entire vase. Several lots were near identical to the auctions that carried out by Christies’ International (Singapore) back in 1995. An exquisite pink base peony Kamcheng was sold at RM36,000 and entry level wasn't high as we were glad to see those novice collectors bid successfully for some classic Nyonya wares below thousand. Online bidding were intense too to compete instantly altogether. Thanks again for your tremendous support! Not forgetting Master Glen Chee who led by example to share his personal collecting journey, knowledge and experience with us. His entire article about “Straits Chinese Porcelain” was featured in our collection edition of the auction catalogue. Do flip through our photo gallery to see the moment of this event. Share with us if you have any good piece of Peranakan ware. We will continue to promote the inheritance of Peranakan Culture by action and sincerity. 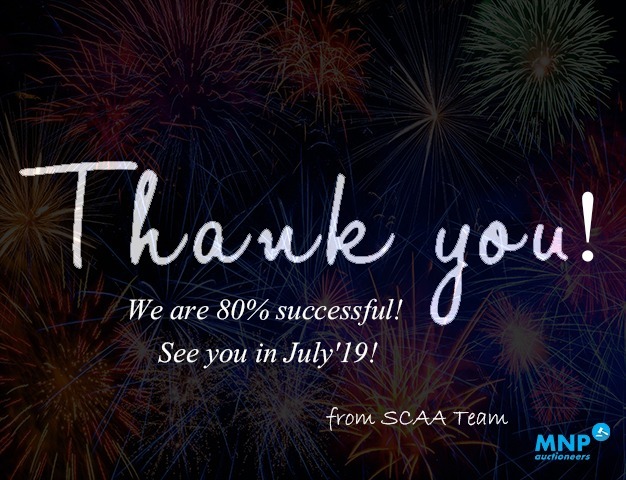 See you at our next event in July 2019!